For over 10 years, the National Suicide Prevention Lifeline has worked with social media platforms and digital communities to establish recommended best practices in suicide prevention for social and digital media. If you are worried about someone on social media, you can contact safety teams, who will reach out to connect the user with the help they need. *Note: Tumblr no longer directly responds to reports of suicide or self-harm. The Lifeline has worked with Facebook to develop their supportive community tools, which include resources, messages for you to use, and directly contacting Facebook. Click below to report messages about suicide or self-harm to Twitter. Twitter will send the user a direct message with the Lifeline number. To report posts about suicide or self-harm on Instagram: Tap “…” below the post, Tap Report Inappropriate, Select This Photo Puts People At Risk > Self-Harm. 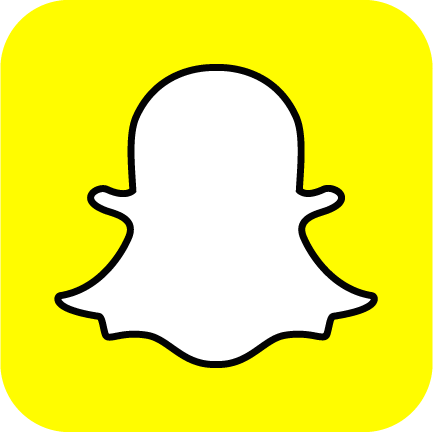 To report a safety concern, press and hold on that Snapchatter's name and tap the gear button. Then, tap 'Report' and reach out to Snapchat, and follow the prompts. To report suicide or self-harm, click “More.” Highlight and click “Report” in the drop-down menu. Click “Harmful dangerous acts,” then “Suicide or self-injury.” YouTube will review the video and may send a message to the uploader with the Lifeline number. If you come across sensitive content on the Periscope app, report the broadcast directly through there. When watching a broadcast on iOS or Android, select the three dot symbol next to the comment field (Say something...) and tap the 'Report Broadcast' button. Once you have selected this, you will be prompted to select a reason for the report. The reasons you can select are ‘Self-Harm,’ ‘Violence,’ ‘Sexual Content,’ and ‘Child Safety.’ Learn how to report content on the site and comments by clicking the link below. 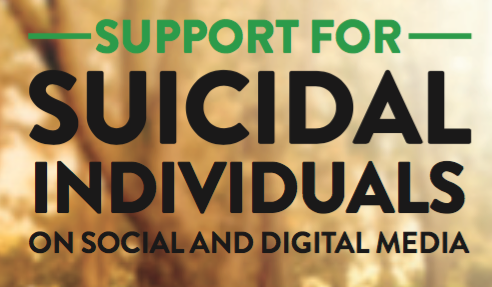 The “Support for Suicidal Individuals on Social and Digital Media” free toolkit was developed by the National Suicide Prevention Lifeline to help digital community managers and social media platforms establish safety policies for helping individuals in suicidal crisis. While we recommend downloading the full kit, we have shared some excerpts below. If you have identified an individual that is at risk of suicide or in suicidal crisis but doesn’t seem to be at imminent risk, research suggests that the community moderator reach out to that individual directly, through a set of clear processes established by and best suited to the needs of your platform or community. While we encourage active moderation and response online, we do not encourage community managers to take on the role of mental health care professionals. All engagement with an at-risk individual should be designed to provide appropriate support while connecting that individual to mental health or crisis resources like the Lifeline, your local crisis center, or other local mental health providers. If, while engaging with an at-risk individual, you believe that the person may actually be at imminent risk of suicide, call 911 or other local emergency services for immediate assistance. Local emergency services are the fastest way to help a person who is at imminent risk. Other resources or protocols may be inappropriate during this situation and should not be applied. If your organization is interested in a more hands-on approach to crafting suicide prevention protocols, use our Contact Us form below.